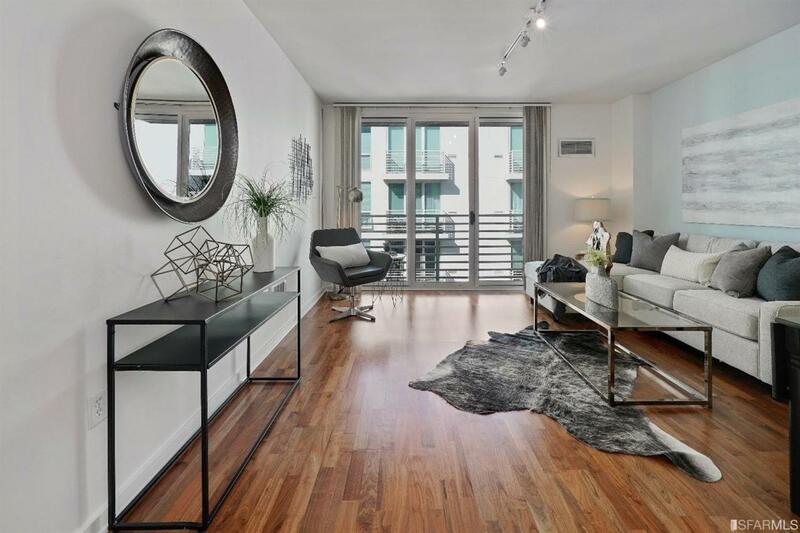 Luxury urban living at The Palms, located in the highly desirable SOMA. Located on the 8th fl. this lovely condo is an ideal primary or investment property. 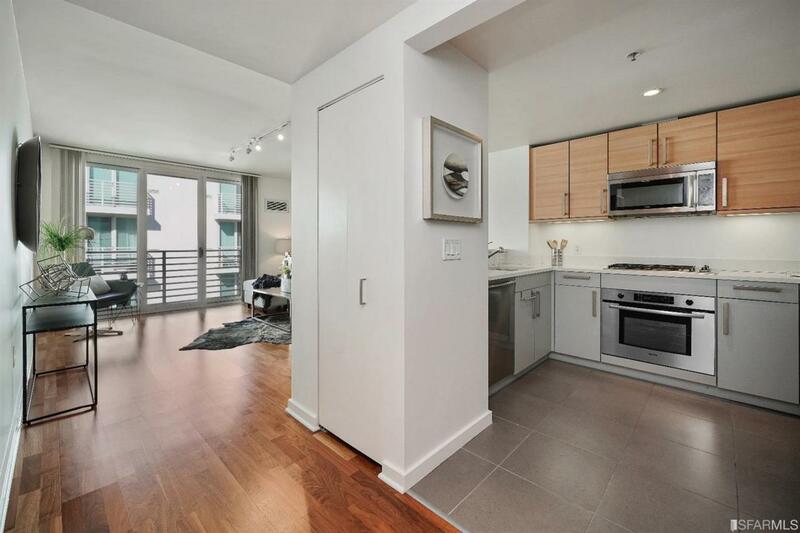 High-end finishes in a well designed kitchen, eat-in breakfast bar and Bosch stainless steel appliances. 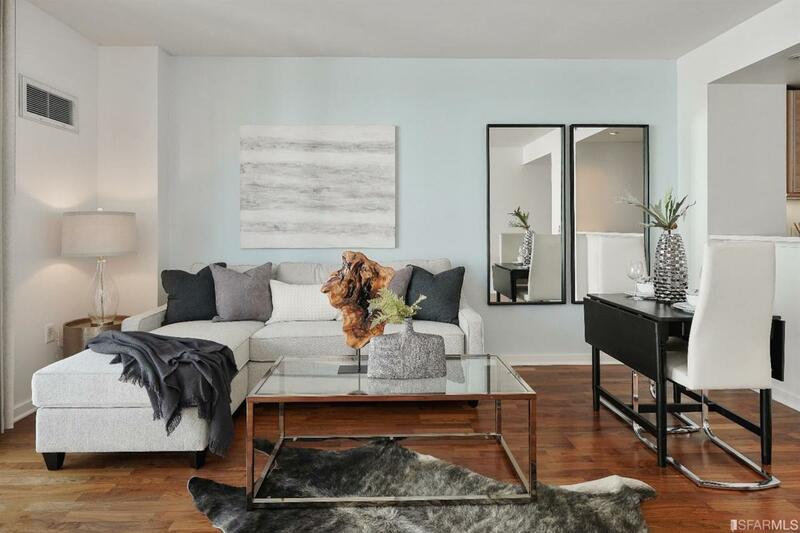 Beautiful wood flooring throughout living/dining and a spacious bedroom with custom built-in closets. 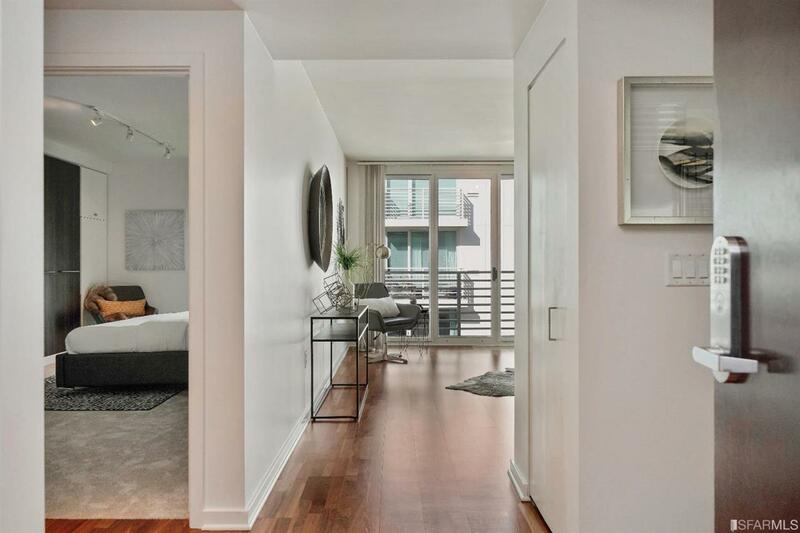 Expansive floor-to-ceiling windows, with private balcony off the living room providing a quiet oasis in the heart of the city! Plentiful storage, in-unit washer/dryer and one-car leased parking are included in this turn-key unit. Fully amenitized building including 24 hour concierge,gym, and much more. Easy access to shopping, dining, ballpark, Caltrain, 101 / 280.